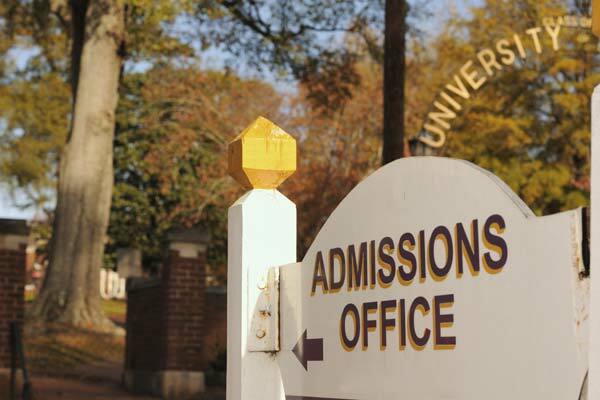 Much of the stress surrounding the college admission process occurs because students (and parents) have little first-hand knowledge of what colleges actually seek in students. But with that knowledge, you can increase your chances of acceptance at your top-choice schools by focusing on the things that are priorities for the college. A challenging high school curriculum. Academically successful students should take at least five core courses every semester. Include AP, IB, and honors classes if you believe can get good grades in them. Most colleges recalculate GPA based only on core subjects (English, math, science, social science, foreign language). Grades that represent strong effort and an upward trend. Slightly lower grades in a rigorous program are preferred to all A’s in less challenging courses. Solid scores on the SAT or ACT—consistent with high school grades. High scores do not compensate for low grades. Passionate involvement in a few activities, demonstrating leadership, initiative, impact, and an "angle." Depth, not breadth, of experience is most important. Colleges seek “angled” students with a passion, not “well-rounded” students. Substantive commitment to a few activities is preferable to participation in several mini activities—and more rewarding! To complement your applications, create a detailed résumé to showcase your activities. Meaningful use of your free time. Out-of-school experiences could include summer activities, work, and hobbies that reflect responsibility, dedication, and areas of interest. Include these commitments on your résumé. Special talents or experiences that will contribute to an interesting student body. A student who goes the extra mile to develop a special talent in sports, research, writing, the arts, or anything else will gain an edge. Consider sending colleges some evidence of things that make you stand out (e.g., portfolio of your creative writing, research abstract, CD or DVD of your talent). A well-written essay that provides insight into your personality, values, and goals. Your application essay should be thoughtful and highly personal. It should demonstrate careful and well-constructed writing. This is your chance to tell your story! Anecdotal letters of recommendation from teachers and your counselor with evidence of your intellectual curiosity, special skills, and positive character traits. An extra recommendation from a coach, supervisor, or someone who knows you well can help only if it sheds new light on your talents. However, letters from family friends, even if they are well known, are rarely given much weight. Demonstrated enthusiasm for attending the university. You show this with every campus visit and interview, and through ongoing contact with the admission office. Early in your college-planning process, schedule a campus visit, including an information session, tour, and interview if available. Stay in touch with an admission representative and attend local presentations too. Demonstrated intellectual curiosity. Reading, school and extracurricular pursuits, summer activities, and so much more show admission counselors that you are eager to learn. I regularly participate in the creation of a national report, Top 10 Things Colleges Look For in a High School Student, from which the above list was prepared. What Do Your High School Extracurricular Activities Say About You to Colleges?